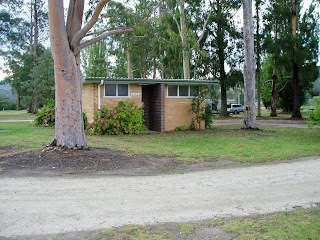 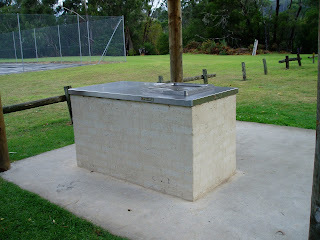 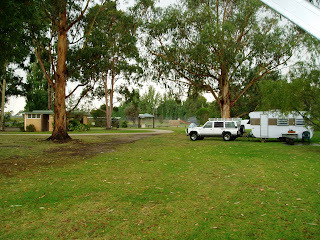 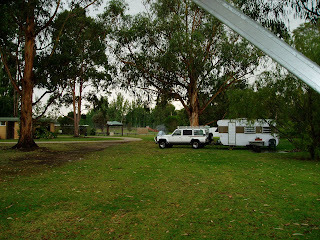 This old caravan park is a delightful place to spend a few days. 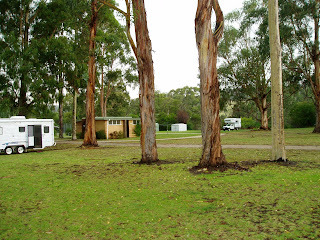 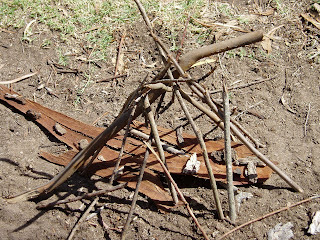 A large level area is well grassed with plenty of shady sites. 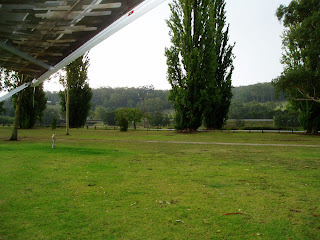 Some tables and benches are provided along with an electric BBQ, shelter shed, toilets, cold showers, bore water and far enough away from the highway to enable a good night’s sleep. 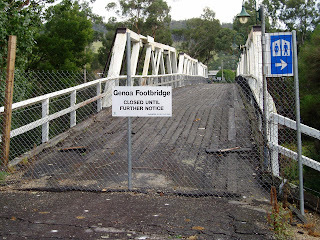 The town of Genoa looks like it has been decimated by the relocation of the highway and the nearest town is Mallacoota where supplies can be obtained. 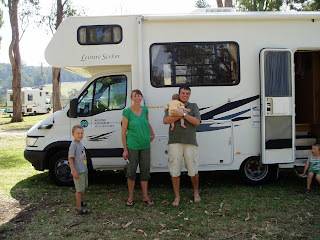 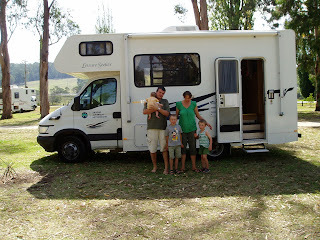 We spent 2 nights here and had the company of some overseas tourists who posed for a couple of photos for us.